If you are a WordPress web designer or you are going to start a new blog on WordPress, then it’s always a good idea to make your site first on Local Host (Your PC) and then migrate it to your Live Hosting Server. If you want to learn how to make a Local Server and how to install WordPress over it then you can follow my blog post for making a local server using Xampp. 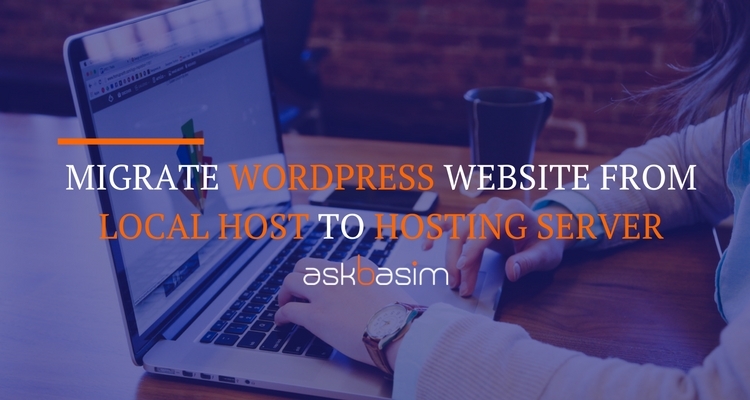 So once you have completed the design process of your website or blog on WordPress and it’s ready to launch, next step is to migrate your website from your local PC to your Hosting Server. For Manual Method, you can refer this step by step tutorial by wpbeginner. Right now I am going to teach you the easy method through which you can migrate your WordPress website with the help of a plugin. 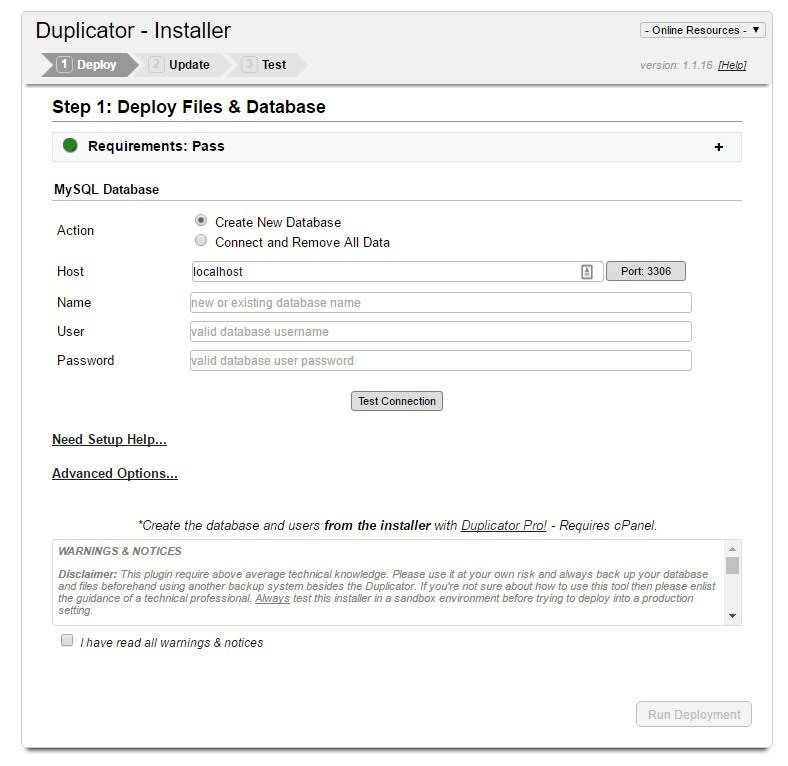 The plugin which I am going to use for the migration of WordPress website is known as Duplicator. You need FileZilla to upload files from your PC to Web Hosting. Besides this, you need your Cpanel access so that you can create a database. So stick with me and follow the steps which are mentioned below to migrate your website easily. Login to your WordPress site which is hosted on your local PC and click the “Plugins” on the left sidebar. Click on the “Add New”. In the search bar type “Duplicator” and press Enter. It will show you a list of plugins but you have to install Duplicator Plugin b﻿﻿y﻿﻿﻿ LifeInTheG﻿﻿rid. Click install now and then activate it. Once you have activated the plugin, there is a menu created on the left sidebar name “Duplicator”. Just click on Duplicator Plugin. One the right side click the “Create New” button. Then on the next screen rename Your Package with whatever name you want and click next. It will scan files and show you a report. If all files are good then click on the “Build” button. If there is any warning then first check the warning and resolve the problem first. Once you click the “Build” button, it will create a package for for you containing two files named “Installer” and “Archive”. Download both these files “Installer” and “Archive”. Next, you have to upload both these files on your Hosted Server. 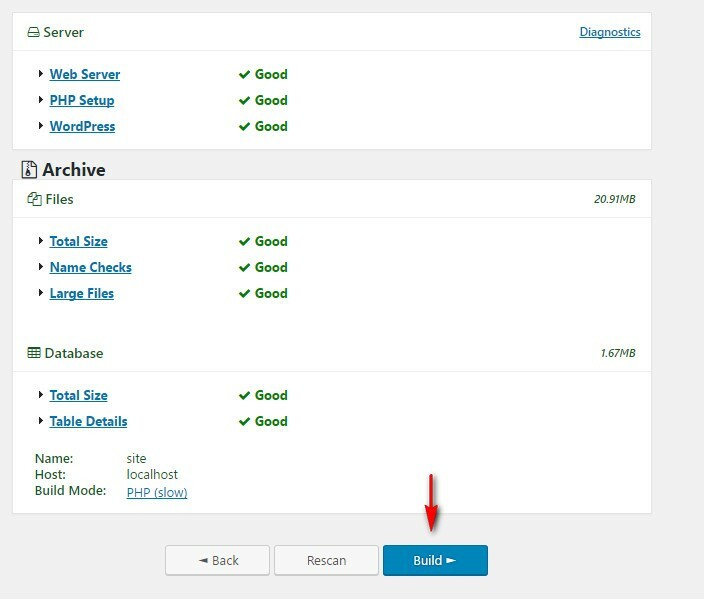 Keep in mind that you have to upload these files where you want your WordPress to install. If you want to install your site on the root domain like “mysite.com” then check for the folder name “public_html” and upload your files there. And if you want to publish your site on “mysite.com/yourname” then create a folder first in “public_html” folder name “yourname” and then upload your files there in “yourname” folder. While the files are uploading, just login to your Cpanel of your hosting. Search for MySQL Databases and click on it. Create a new database name "yoursite" and a new user name "yourname" and give it a password "yourpassword". Add that user "yourname" to that database "yoursite". 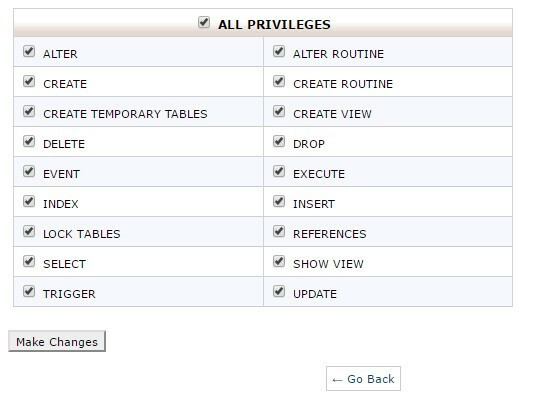 A new windows will open, click on the "All Privileges" and then click on the "Make Changes". Once the database is successfully created and both the installer and archive packages are successfully uploaded to your hosting server all you need is to open your browser and type your site name in addition with "../installer.php". Like if your site name is "www.mysite.com" then type "www.mysite.com/installer.php". A page of Duplicator-Installer will open.Now all you need is to put the Database name, Database Username and Password in the required fields which you set earlier. Now click the “Test Connection” to check your database is connecting successfully. Read all the warning and notices and make a check on “I have read all warnings & notices” and press the “Run Deployment” button. Click “Ok” on the confirmation popup screen. Now this will process all files and database and it may take a few minutes. Ones the process is completed you have to click “Run Update” button which will update your database and configuration files. This process will take some time. Ones this is completed, your site is ready to go. Isn’t it so easy to migrate your site from local host to your shared hosting or hosting server? Below you can see the detailed video of the above process. Please share your comments if you find this article helpful to you. I will be waiting to hear, how you migrate your local WordPress site to your live site.